The council is urging Aberdeenshire residents to use water wisely. Aberdeenshire Council has called on the public to use water wisely as the warm, dry weather continues across the area. The council says here is increasing pressure on water supplies and forecast rain is not expected to replenish supplies sufficiently. Both agencies are working with the Scottish Government to provide bottled water and tanks to those in the area whose private supply is running dry, at no cost. Council teams are already dealing with requests relating to around 40 water supplies, serving around 60 properties, a number which is expected to increase. advised to submit requests direct to Scottish Water. Significant rainfall over a prolonged period is required to replenish some supplies, but this is not expected in the near future. There are warnings that when rain does fall, private supplies could become contaminated and users should be wary. Long-term, the council is providing advice on future solutions to improve water security, such as support to help connect to the mains. If that is not possible, improvements to the current source or forming a new supply can be considered and grants may be available for some of this work. 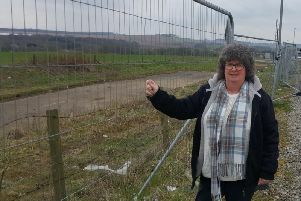 Environmental health team manager, Louise Cunningham, said: “Most people will be well aware of how recent weather conditions have been affecting the country, but those with private water supplies in Aberdeenshire are acutely aware of the impact it’s having.